Get regular checkups Think of your doctor as an ally who helps keep you well, not just the person who treats you when you’re sick. Regular checkups and screenings are vital, especially if you or your family are predisposed to certain medical conditions. Wondering about which screenings and immunizations you need? Ask your primary healthcare provider or visit the US Department of Health and Human Services website. 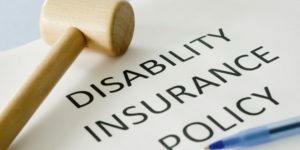 ← Disability Insurance for Physicians: How to design the best plan for you.